Looking to launch your programme with impact? Download our eBook for more ideas on creative ways to launch your employee engagement programmes and have a lasting impact on your people strategy. What I enjoy most about my role as a Corporate Client Success Manager is working with companies to build a strong, all-encompassing engagement strategy, and seeing even simple tactics making a difference in the everyday experience of their employees. So today I wanted to share some tips on how to make a big impact right from the moment you launch. 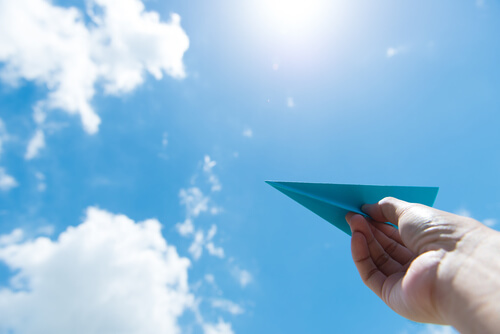 A successful employee engagement programme launch takes thoughtful preparation and planning – and when you put in the time and thought, you know you’re putting your best foot forward in your employee engagement journey! Below are some of the tried and tested approaches from clients who’ve worked hard to generate excitement across the business and breathe life into their programmes. These organisations are seeing the flow-on effect as their people embrace new ways to engage with initiatives like reward and recognition or a new employee discounts programme. Gone are the days when reward and recognition means printing off a few certificates with your company logo and a bit of clip art next to the recipient’s name. Everyone is used to tailored, personalised communications, and your recognition programme is no different. In fact, it’s the perfect opportunity to reinforce your employer brand. Whether that’s through the colours you use, the eCards or the tiles you design, or the language and tone of voice you use throughout, these elements all come together and can really inject personality into your programme. Peoplecare’s programme, VIP, is a perfect example of this. The choice of colours and font on the platform are all familiar to its employees. Even its eCards (which they call “Mwahs”) reflect the the warm and fun culture, which ensures the programme aligns with what they stand for and invites people to come back. A short introductory video that explains your programme and how to use it, or with tips from the CEO, or with employees from different areas of the business explaining how they’re using/plan to use the platform features can be a powerful way to spread your core messages and keep people informed. Keep in mind that video doesn’t have to be complicated or expensive – you can film an impromptu interview on your phone and upload this to your platform to get people interested. The employee reward programme name should mean something to your people, and what better way to understand what will resonate with them than to invite people to provide suggestions? During the design phase of a project, some of our clients run a competition or a survey and ask people to submit their ideas and select the name based on votes or through a project committee. 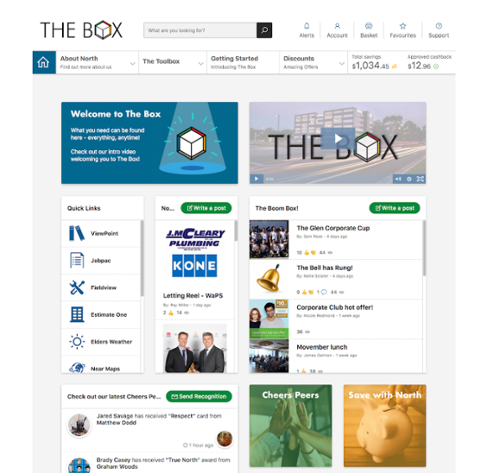 One of our Australian clients, North Construction, named their programme “The Box,” which is a term that was coined almost a decade ago and carries a lot of meaning for employees. It’s unique to the business and gives its employees something to look forward to. Show real people… your people! While stock photos have their place, the most impactful imagery you can put on your platform – whether it’s in eCards or on blog posts – are photos of your people. 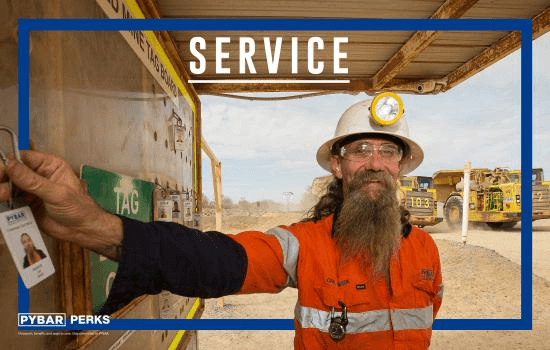 The HR team at PYBAR Mining Services went to every site to take photos of people that they could use on their eCard designs. This helped generate excitement about what was to come. 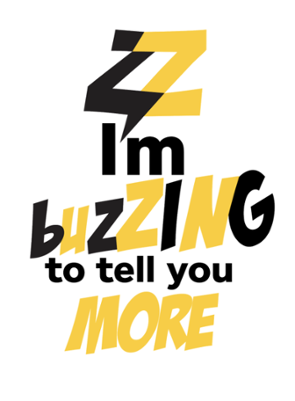 Let your people know that a new engagement programme is something worth getting excited about. Don’t just organise the event and expect people to turn up! Send out teaser emails, do a countdown – anything that piques people’s interest and gets them wondering what’s to come. 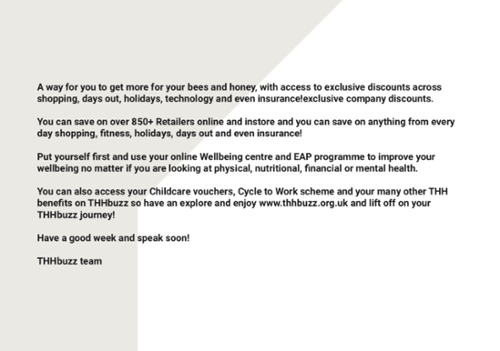 Here’s an example of postcards Tower Hamlets Homes, a 500-person, non-profit housing services organisation sent to its employees as a teaser of what was coming soon on its new platform THHHbuzz. A key component of running a successful programme is making sure managers are equipped with the knowledge and skill to teach others and lead by example in using the platform. For example, if you’re launching a reward and recognition-focussed platform, you can schedule workshops for leaders that focus on the “why” of recognition and how to deliver strategic recognition. Provide key leaders with early access, long before the programme launches and provide opportunities to address questions or walk them through the platform so they’re comfortable with using it. One tactic I used recently was for the launch of Hive, a platform we created for Hand Picked Hotels, a luxury hotel stay with 1,500 employees (the majority of which are offline!). I put together a slideshow presentation for the HR Managers and General Managers to distribute and train across their teams. 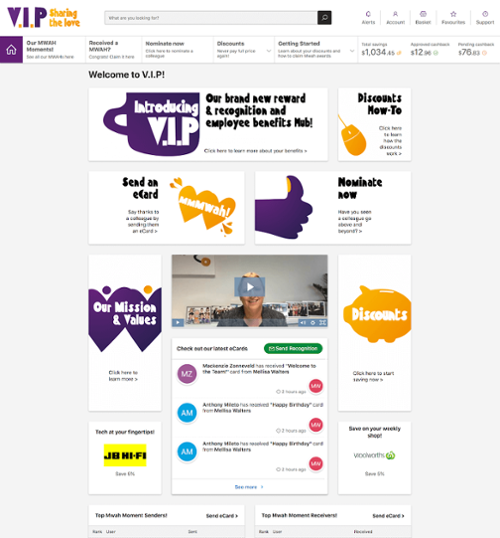 Generate buzz and excitement on launch day: Decorate the office with posters, streamers, printouts of eCards, hide prizes under chairs, and run a competition to encourage employees to sign up and start using the programme straight away. Again, let your employer brand shine and have fun with it. Whenever you see recognition coming through your new programme, share some of those moments in other employee communication channels. Highlight award winners in your company blog, create an automated feed of eCard recipients on Slack, or display some top eCard messages on your office TV screens. Any way you can keep your programme front of mind before, during and after launch day, the more your employees will use it, and the bigger an impact you’ll make in the motivation and engagement of your people. What have you done to launch your programme with a WOW? Tell us in the comments!